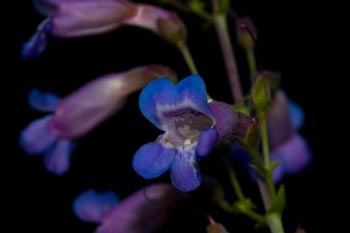 Twining snapdragon is a vine-like plant that often clings to other plants or dry brush for support. 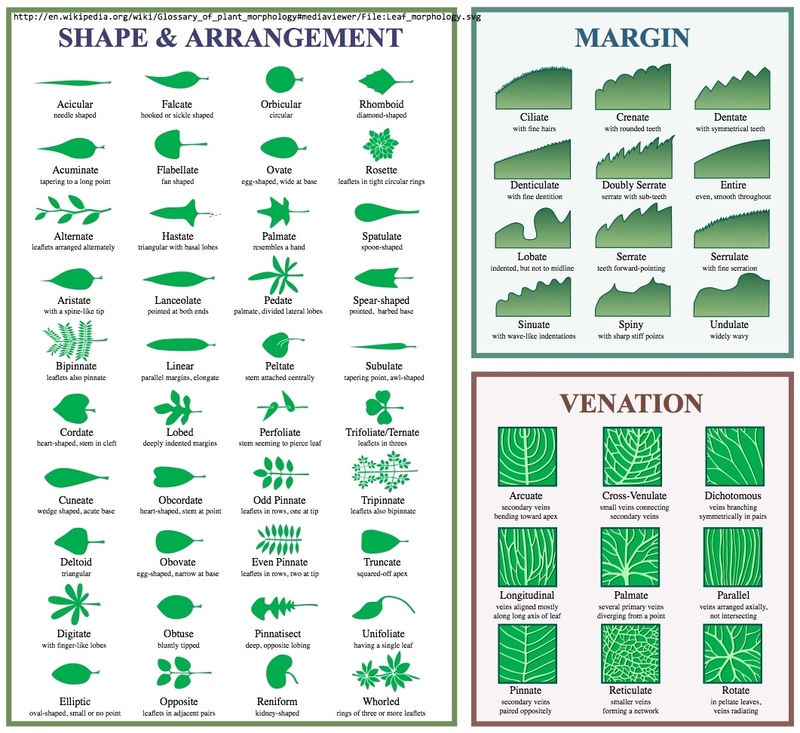 It is often hard to spot due to its size, but when you do come across it you will know it. 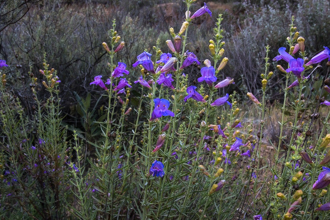 Its distinctive snapdragon-shaped flowers appear from February to May and are usually lavender to purple, but can also have varying shades of blue or white. 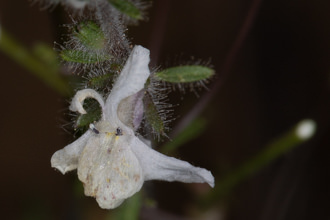 The rest of the plant is very slender, with a central stem supporting several arching branchlets, each near a slender leaf up to a few inches in length. 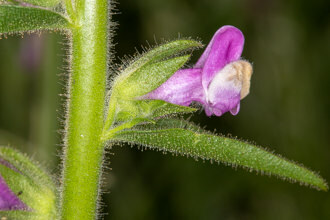 A flower appears 2 to 4 inches down each of these hairlike stems and is about 1/2 inch in diameter. 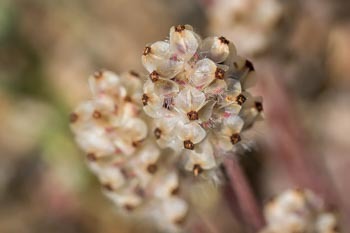 The stems are frequently a reddish green color. The base of the plant is a bit more filled out but otherwise similar in appearance. 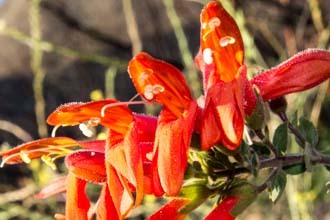 Twining snapdragon is especially common in disturbed areas or where fire has recently burned. 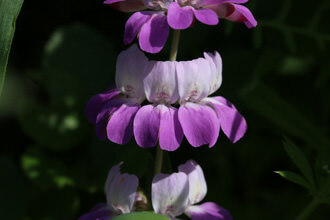 Its scientific name Antirrhinum translates as "like nose", referring to the flowers' snoutlike appearance. Kelloggii is named for Dr. Albert Kellogg, a California botanist in the 1800s and one of the founders of the California Academy of Sciences. 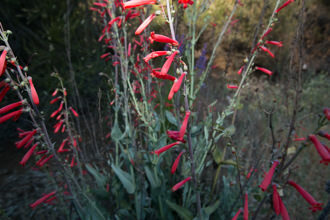 The photos on this page were taken on Will Rogers Trail on an April trail maintenance outing. I might not have noticed this plant had I not been examining the trail so closely! Last modified: October 14 2017 16:15:31.